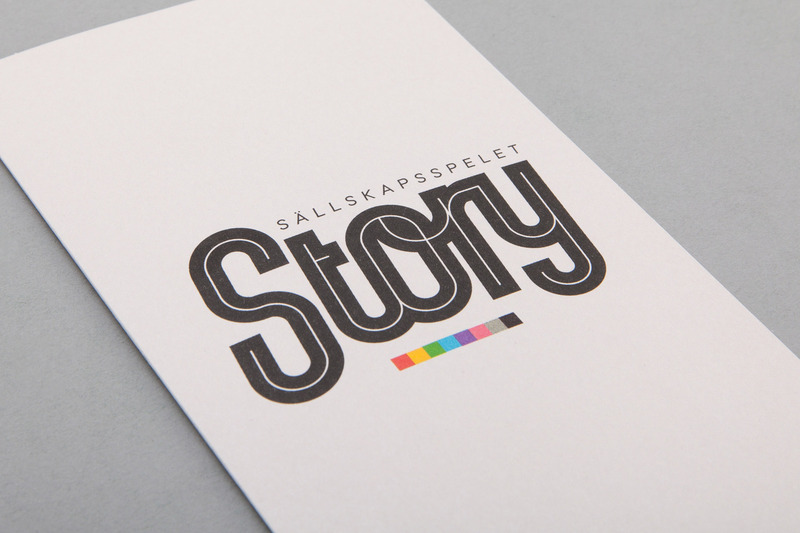 We are Ninja Print, a board game design studio in western Sweden. We make stuff. Games that are fun to play and beautiful to look at. 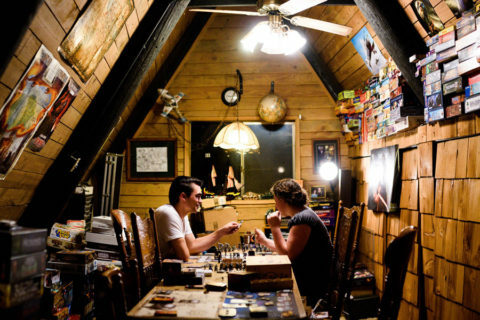 Our collection of board games honor quality, design and craftsmanship. Bringing analog fun into an age full of screens. 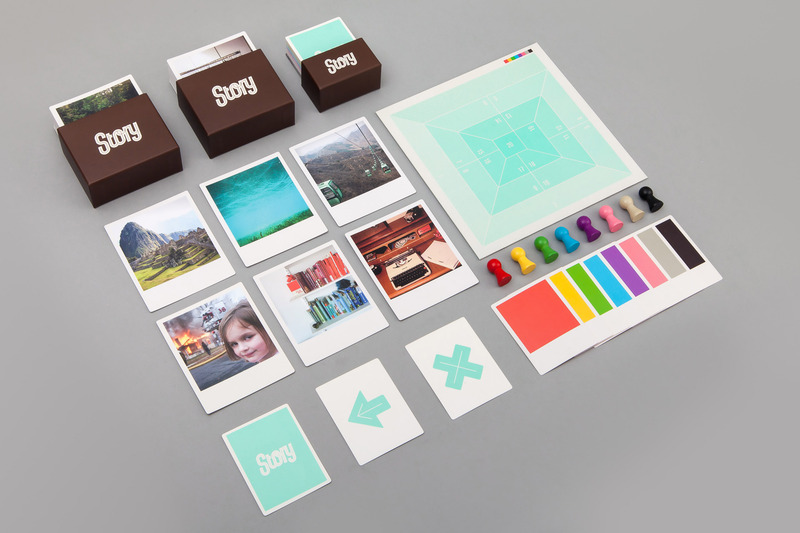 We wanted to make a game that played equally well with families as with groups of friends. So we focused on making a game with as little text as possible to make it playable from a very low age. The tricky part was making it fun enough for adults to play as well. 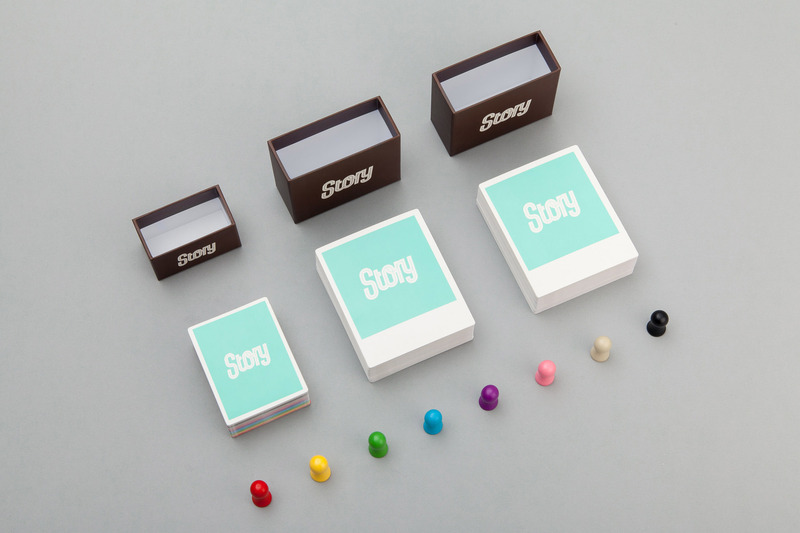 We came up with Story, a picture based board game where it’s as important to recognize a good story as it is to tell one, because we didn’t want to exclude those that aren’t great storytellers from the fun. The players all have pictures on hand and they match the picture in the middle of the table with one of the pictures they’re holding. After each round, the players vote for the best story. The player that receives the most votes gets one point, and all the players that voted for the player that received the most votes gets three points. 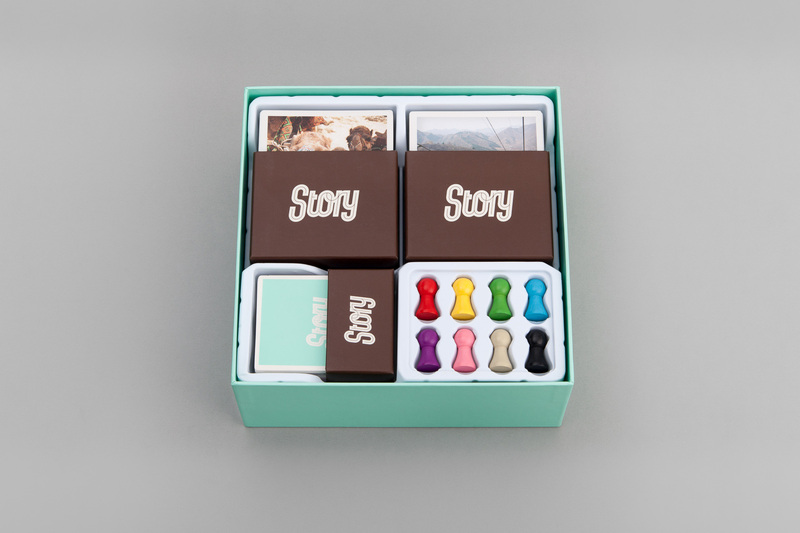 For a board game about telling stories, it felt natural to have one of the photos from Story on the cover intended to evoke the imagination of the user. 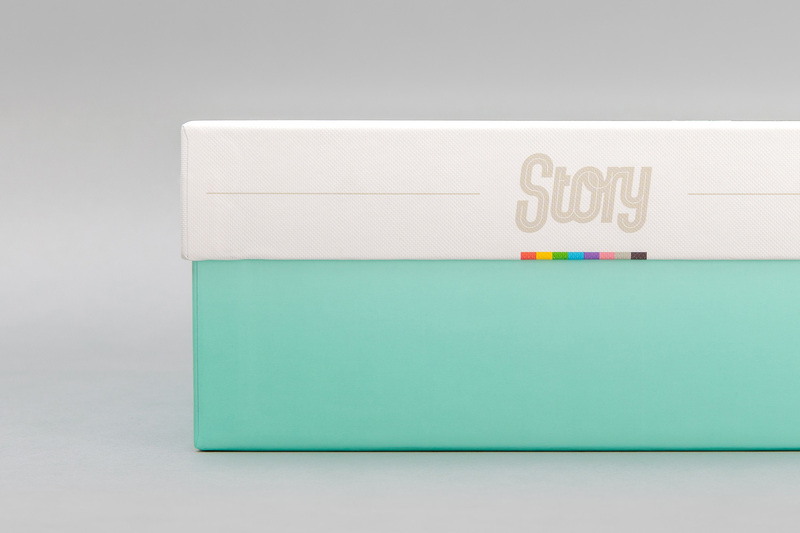 The bottom of the box is matt laminated in a nostalgic solid minty green Pantone color. 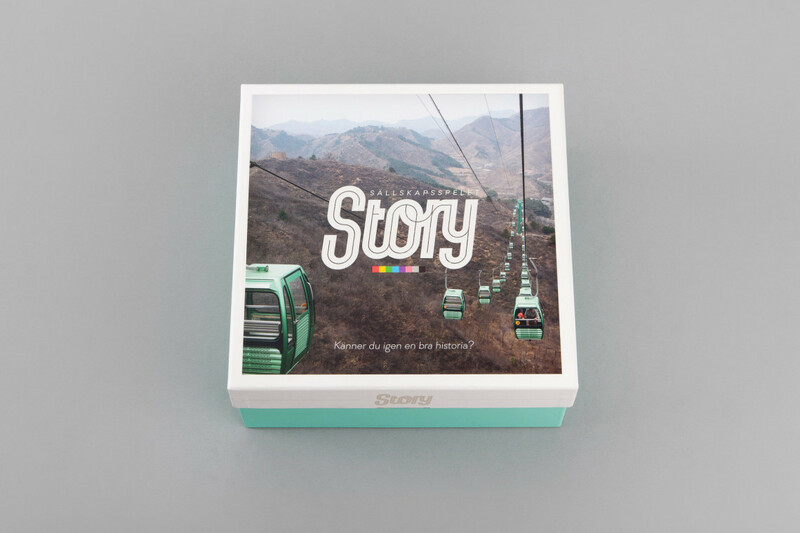 Story is about telling stories based on retro Polaroid pictures. 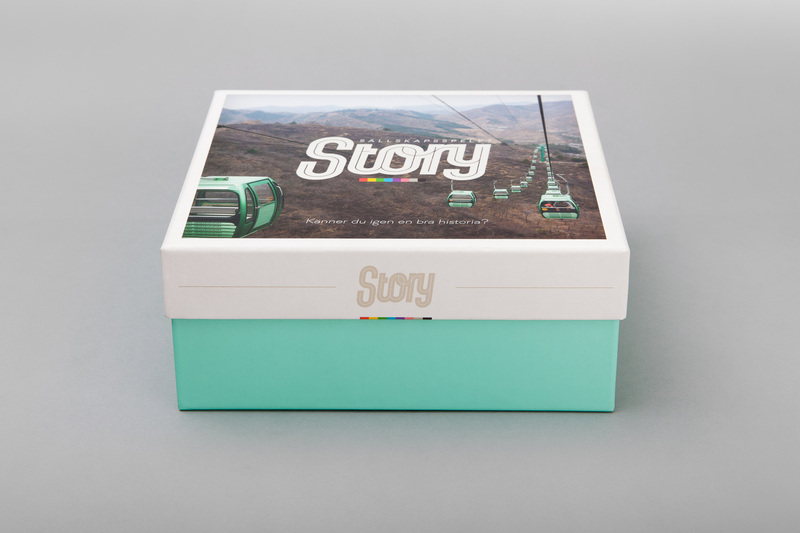 The box has a lower lid than bottom, inspired by an old shoe box full of memories. 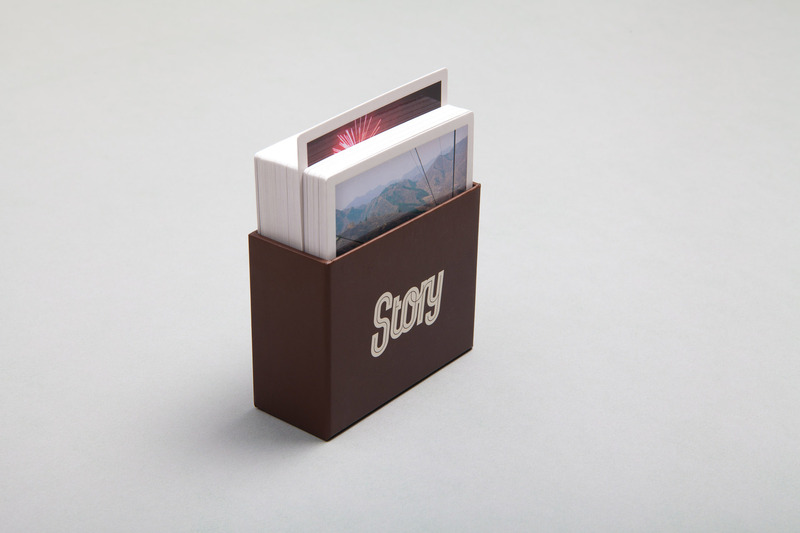 Our goal was to create a box with a tactile feeling giving the user a luxurious experience. 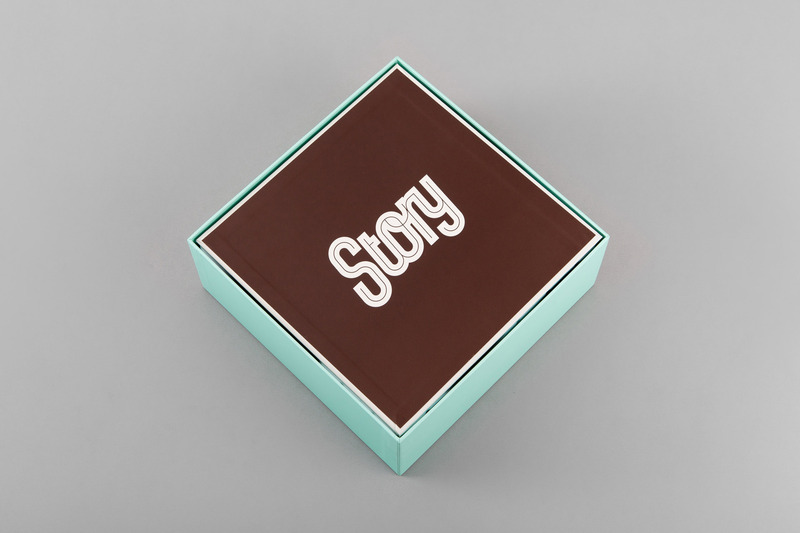 The box is made from three different paper materials: The lid is made of debossed textured grained paper with a label covering the debossed area making up most of the top lid. 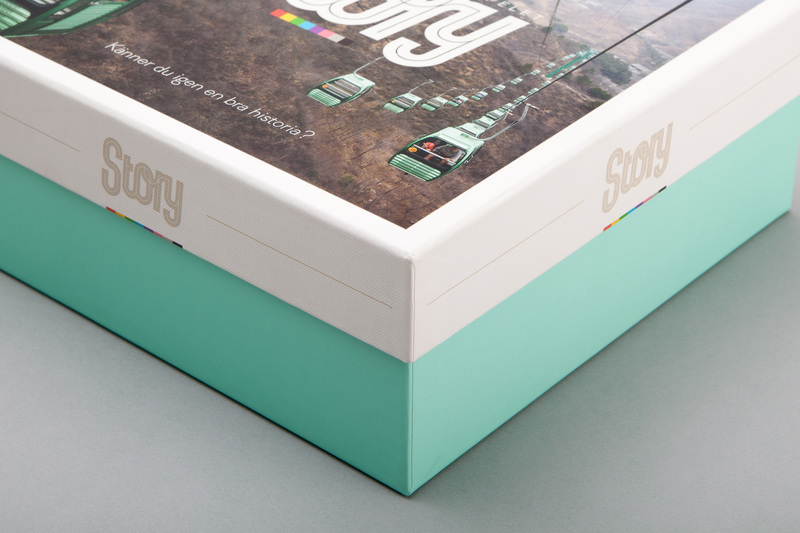 The bottom box is covered in matt lamination for a smooth feel. 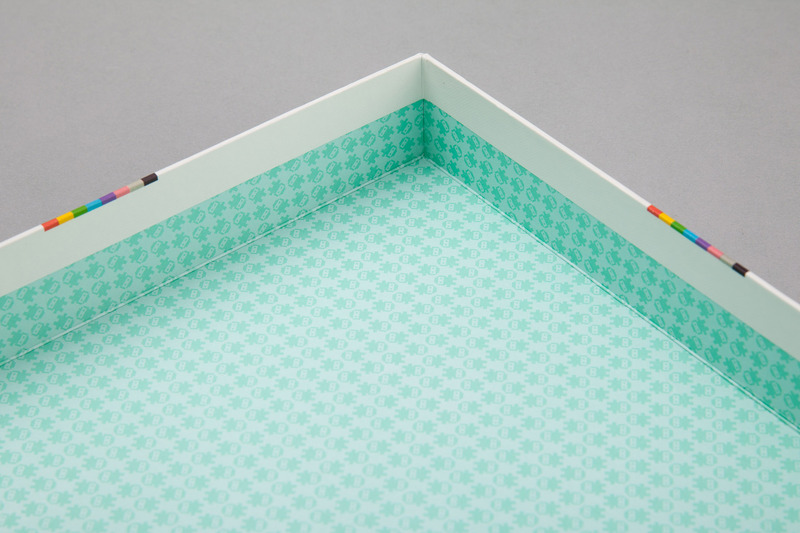 We were inspired by old luxurious hardcover books to use a patterned box lining. We use a ninja pattern inspired by our mascot. 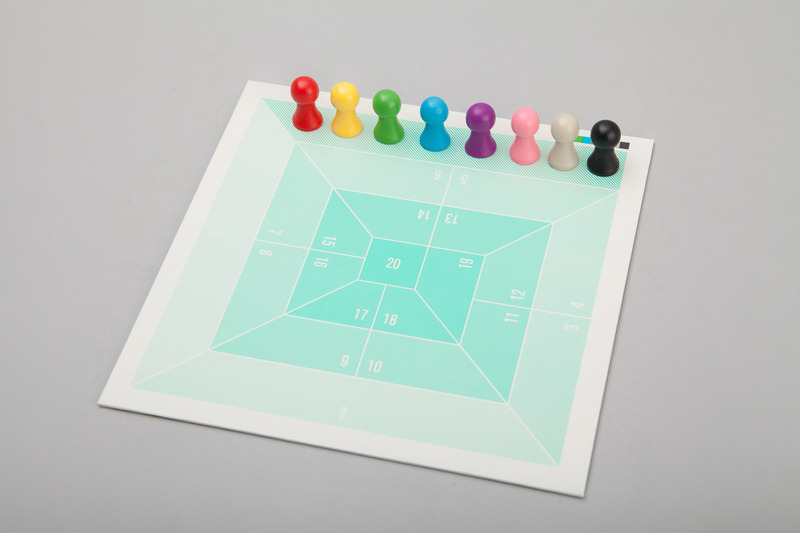 The bottom of the game board uses textured paper, a solid brown Pantone color and a light beige tone for the game board logo that both pair well with the minty green. 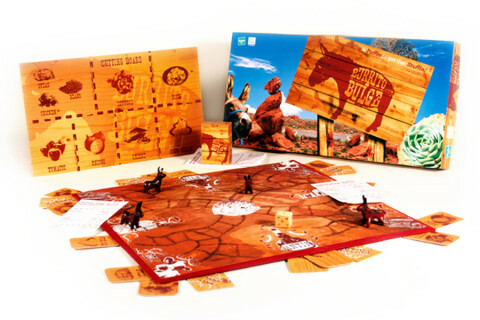 It is important that the player doesn’t feel cheated by a box much bigger than it has to be, which is common with board games. That’s why the box is based on the contents, instead of making it bigger than necessary and full of air. 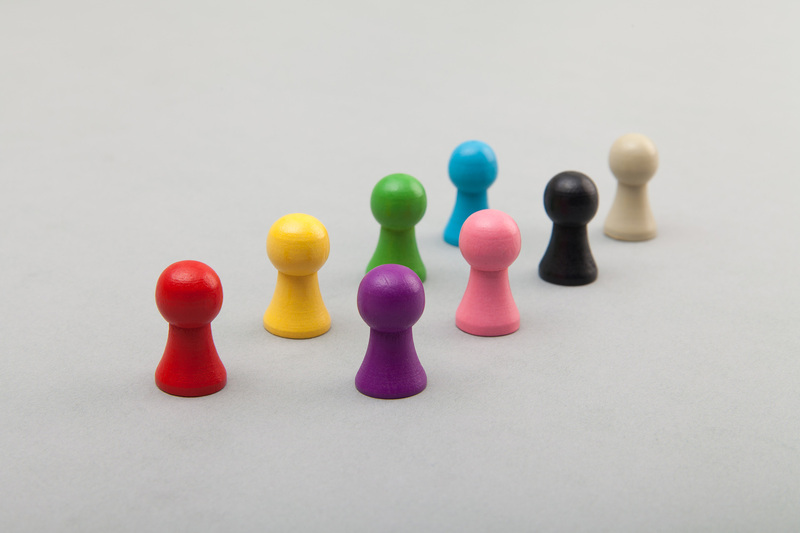 The rules went through many test plays and rewrites, until they were so clear that they were easy to understand while being short. 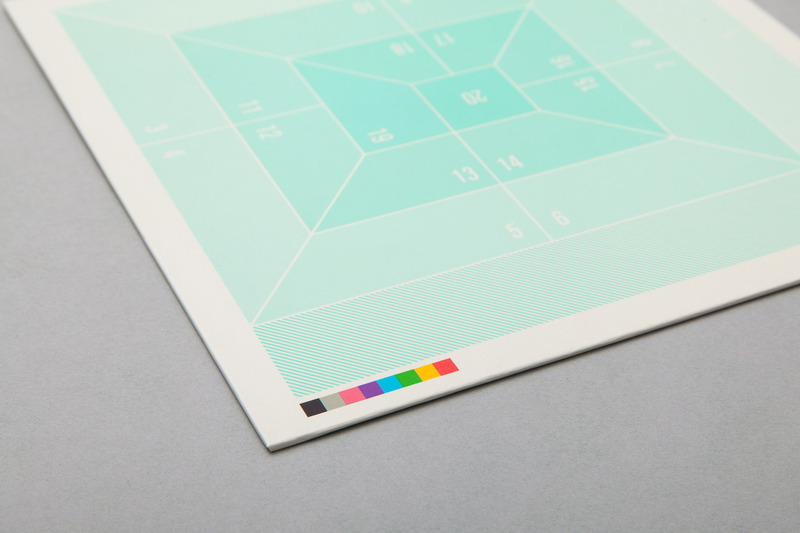 The game board keeps score and is made up of different shades of the same green Pantone color. There are two types of cards – photo cards and voting cards – that both come in standing brown matt laminated boxes. 150 photos means more than 11 000 possible picture combinations. 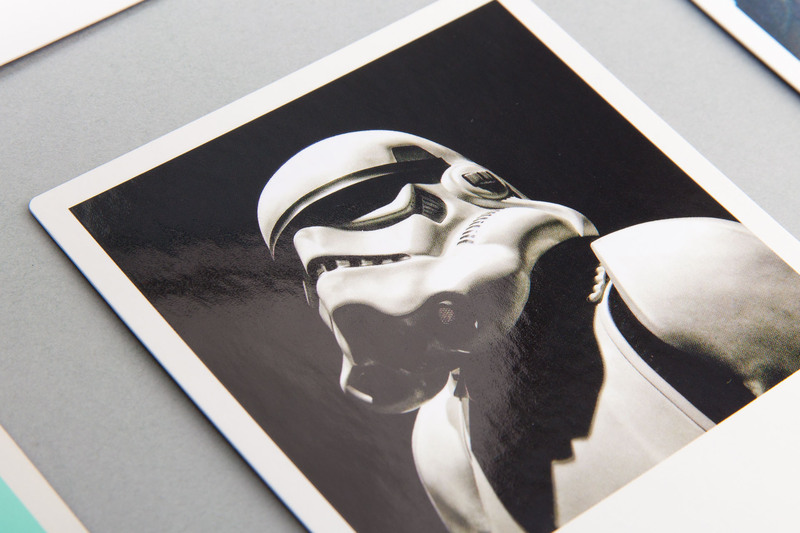 The picture cards flirt with the old Polaroid format and are the same measurements. 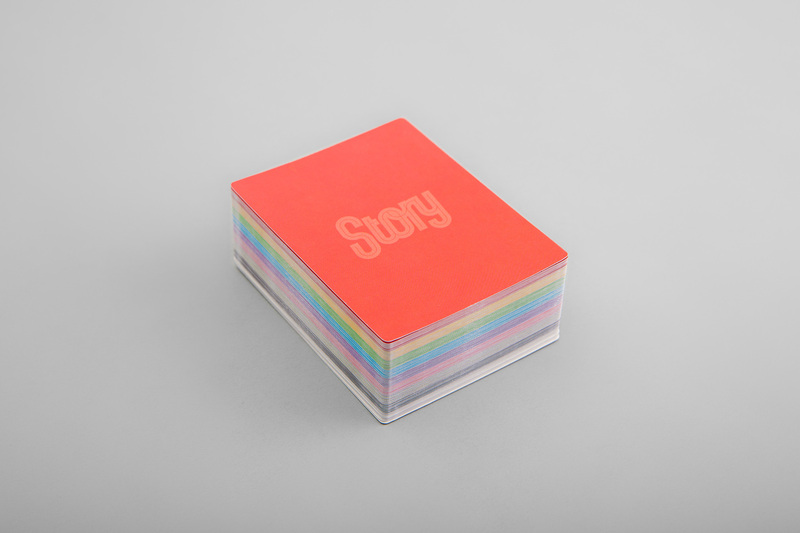 Made from 400 gsm paper with gently rounded corners and glossy spot UV varnish in the square photo area to differentiate the photo from the rest of the card giving the players a tactile feeling. 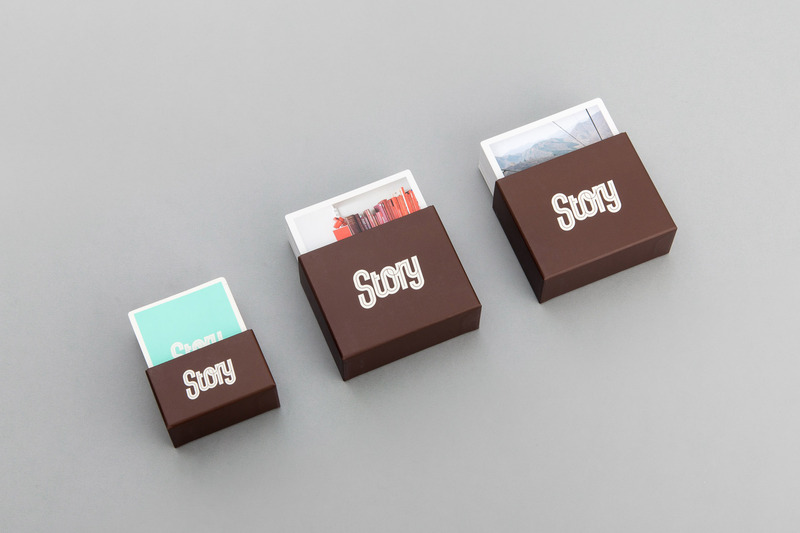 The voting cards are miniature Polaroids in size, to keep with the theme of color and simplicity. 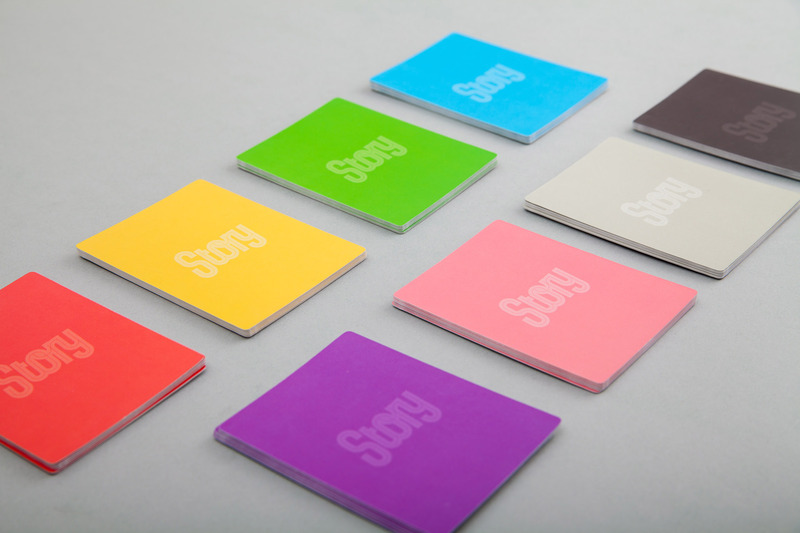 Made from matt 400 gsm paper with gently rounded corners. 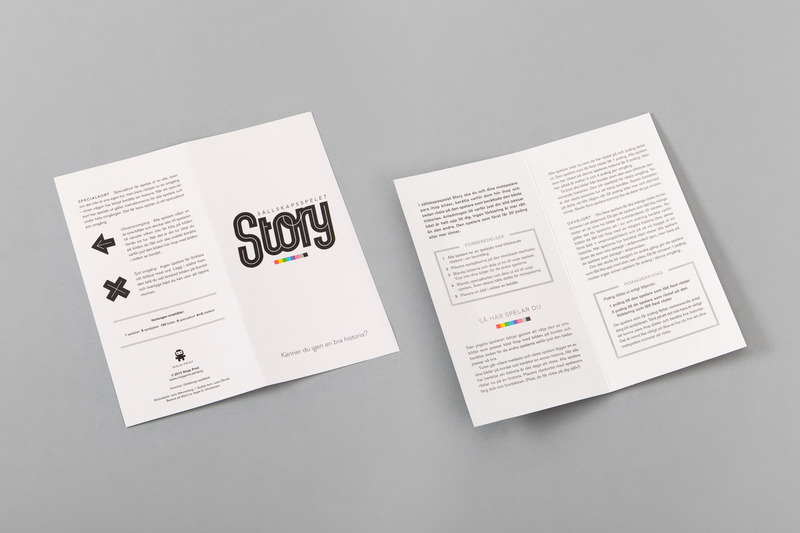 Story is a game full of color that has an almost naive retro feel to it, without ever compromising with design quality. The playing pieces are wooden like they where in our youth, and painted in the same Pantone colors as the voting cards. That’s a good looking game! Lovely design! 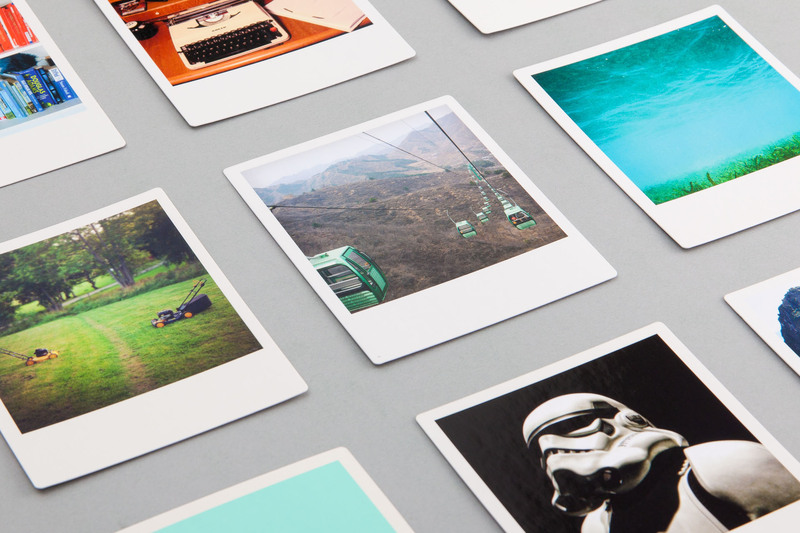 Really like the Polaroid format and pantone colors. Nice description and cool design!